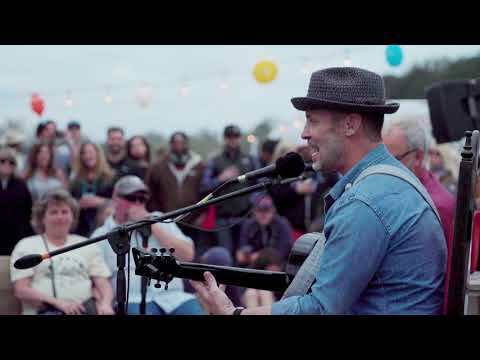 The latest stop on Paul Thorn’s traveling Tales & Ales roadshow featuring Lagunitas founder, Tony Magee, brought them to Willie Nelson’s Ranch in Texas for the annual Luck Reunion. See highlights from the intimate event below, where Paul & Tony discussed the art of songwriting and how it compares to the craft of beer making, amongst other things. Right before Tales & Ales hit the road, Lagunitas helped revamp Paul’s trailer to create an otherworldly experience for fans. The inside is full of rare art (yes, Paul’s also a killer artist), artifacts from his past, and other surprises. The outside gets a front-porch treatment where Paul & Tony sit, play, and work their magic together. Music taught me everything I needed to know about life and living and later, business and brewing … It’s a language without words that—if you learn it and speak it well—everybody understands completely. Tony Magee, The Lagunitas Brewing Co.